Night had already come, but the streetlights stayed dark. Hurricane Sandy had hit just the week before, and Hoboken was only starting to recover. So it was dark when Dana got into her car to pick up her husband. And it stayed dark as her car idled in miles of traffic, going nowhere. As she often did when she was alone in the car, Dana began to hum. And as she hummed, she looked around the city, at the literal destruction surrounding her, and thought about the times in her life when everything seemed to fall apart and she had no idea where to go next. for you know my heart. After Dana shared her song with the Worship Team, other members of the team began to bring in songs they’d written, too. And as people started bringing in their work and asking about the songwriting process, Dana realized there was an interest in writing about what was happening at Hoboken Grace. She decided to encourage that interest by setting the goal of creating an album. 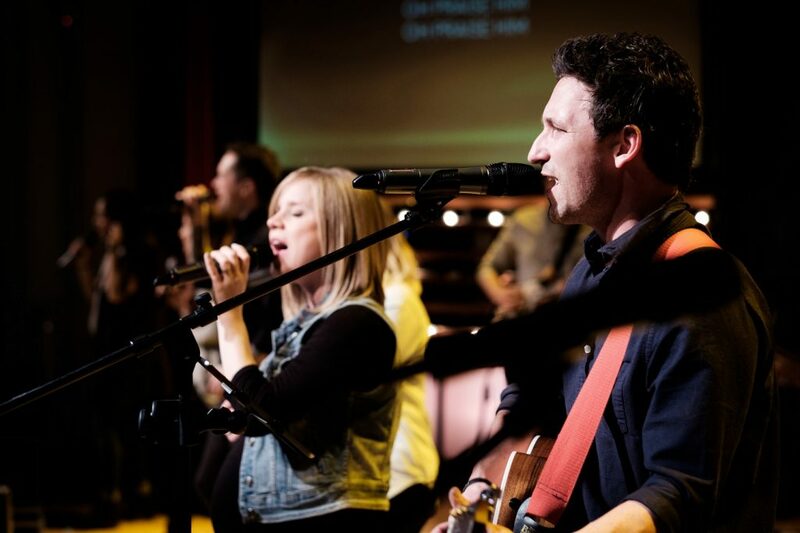 The Worship Team began holding 24-hour retreats to focus on writing songs. Dana booked cabins in the woods and gathered anyone from the band or Production Team to join in the writing process. For the first retreat, the team traveled to upstate New York and spent a day and a half praying, asking God to put words into their hearts. After they worshiped together and spent time with God, they came back together and found that they were sharing the same thoughts. “We had a theme of seeking our worth in this world, but laying that down and finding our identity in Him instead,” said Liz. The team agreed that they didn’t want the song to sound happy. The writing retreats culminated in a concert last year. 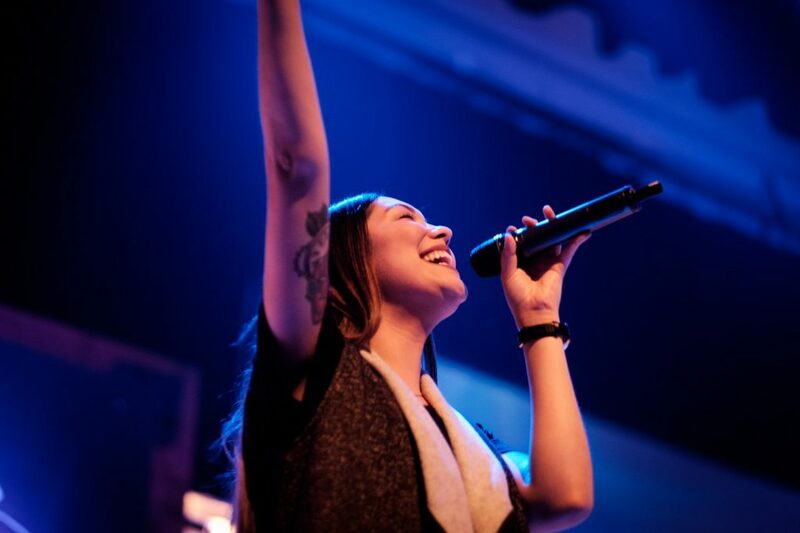 The Worship Team sang the songs they had written, along with songs that have become anthems for Hoboken Grace as a community, and intentionally recorded everything live. Hoboken Grace is planning to release the album on Feb. 23, and will hold a concert that night to celebrate the release. You can get your tickets for the concert here.